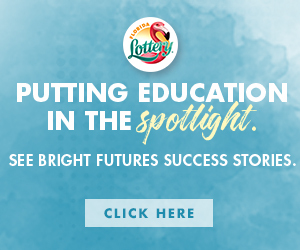 One of the primary roles of a college president is to raise money for their institutions. 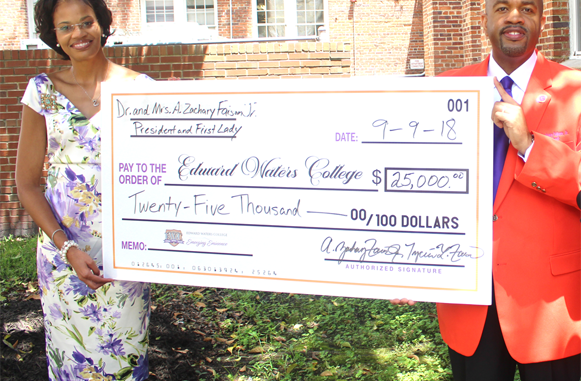 The new president of Edward Waters College joins in that tradition by leading the charge. 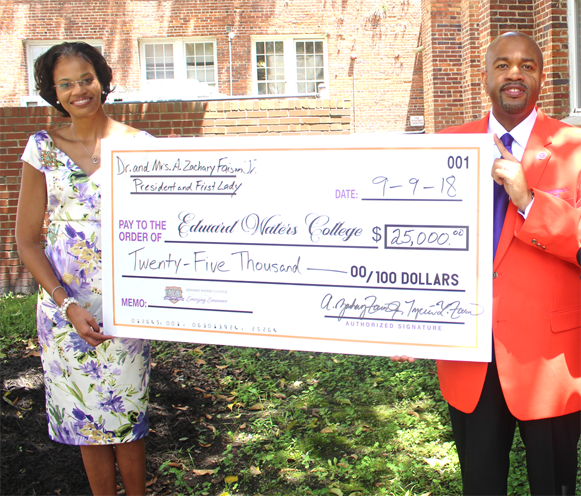 Recently, Dr. A. Zachary Faison, Jr. and First Lady Tyciee Faison generously donated $25,000 to EWC. 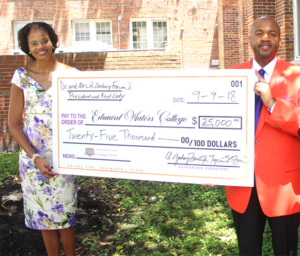 Faison, 37 came to EWC last moth after serving as General Counsel & Vice President of External Affairs at Tuskegee University.